Have you ever caught yourself saying to an unhappy customer, “Well, we’ve had consistently high customer satisfaction ratings over the past ten years, so…”? If you have, that’s a signal that it’s time for you to stop and take a good look around to see what you’re doing, and what you’re not doing, because if there is one thing that is true in customer retention management today, it is that you cannot rest on your laurels for even a second. In the eyes of your customers, you are only as good as the last time that they walked through your door – and nobody’s going to be impressed if you say that customers should like your store because you’ve had high survey ratings in the past. Customer service satisfaction surveys are an extremely important part of your business – but not because you can tell people that they should like your store. Advertising that your store received high ratings can be good for drawing new customers into your store for the first time – but that won’t bring anybody back for a second time. The only thing that will do that is the quality of experience that customers have in your store, and in doing business with you. That’s what they’ll remember, and that’s what they’ll judge you by. And the truth is that a survey that gives you bad ratings may be more valuable than one that gives you high marks. Nobody expects you to advertise that your store got a bad grade in customer satisfaction, of course. But that’s not what customer survey are for. The purpose of a consumer satisfaction survey is not just to tell you what you’re doing right. Far more important than that, it tells you what you’re doing wrong, so you can fix it – and make your customers happy when they walk into your store. 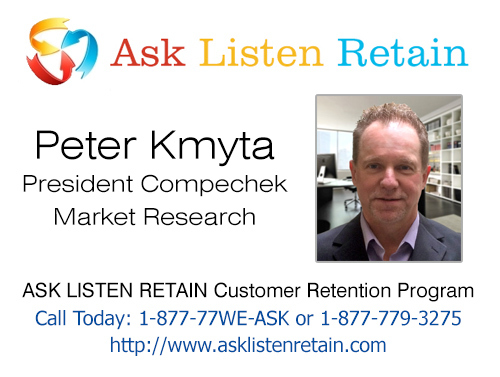 A service such as Compechek’s ASK-LISTEN-RETAIN system will take those bad marks and turn them into gold, by analyzing customer feedback, identifying problems, alerting the appropriate managers about those problems, and requiring store-level managers to contact dissatisfied customers and resolve their problems with your store. The ALR system includes features for enforcing full store manager accountability in responding to and resolving customer problems, and it clearly shows you what your store’s problem areas are, and tells you in the customers’ own words what they want from your business. This means that instead of trying to explain to unhappy customers why they should like your business, you’ll be hearing happy customers tell you why they think you do have such a great store!